A summer of fantastic racing at Saratoga continues on Saturday with five more stakes races, including the prestigious $1,250,000 Whitney Stakes (gr. I), the highlight of the meet for older male horses and a major "Win and You're In" prep race for the Breeders' Cup Classic (gr. I). Let's take a look at the entries! Usually, when a grade I race draws only six horses, it's a sign of a weak field or a couple of standout horses that have scared away the competition, but in the Whitney, that is not the case. Three of the starters are grade I winners, two more are graded stakes winners, and the last is a listed stakes winner that looks like a rising star. This six-horse field has a lot of depth! Of course, it's possible that 3-5 morning line favorite Frosted did scare off a few potential starters. After all, the son of Tapit turned in an astonishing performance to win the Metropolitan Handicap (gr. I) by 14 ¼ lengths last time out, earning a 123 Beyer and a negative 8 ½ Thoro-Graph figure, the latter figure being the best ever assigned by Thoro-Graph. It goes without saying that if Frosted repeats that performance, he is going to crush his competition in the Whitney Stakes, but I think this could be the perfect time to play against him. His Metropolitan performance, while spectacular, came over a very fast track while cutting back in distance to one turn for the first time since he was a two-year-old in 2014. He'll be facing a deeper track while returning to two turns in the Whitney, and he'll be facing tougher competition as well. Furthermore, his best form prior to the Metropolitan wouldn't tower over this field, and if you exclude the Metropolitan from his record, I don't think he would even be favored in the Whitney. He can certainly win this race, but if he goes off at 3-5, his rivals-some of which might have an equal chance of winning-will offer lots of value. 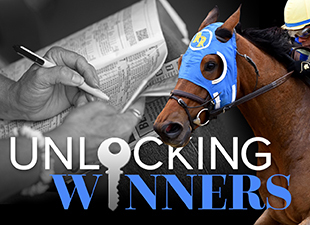 The most obvious candidate for an upset is Effinex, the second choice on the morning line at 7-2. The five-time graded stakes winner enters the Whitney off a second straight win in the ten-furlong Suburban Handicap (gr. II) at Belmont Park, and while he did benefit from a modest pace that day, he flew home the final six furlongs in 1:11.70 to win by a neck. He might be at his best going ten furlongs, but he's also thoroughly proven at nine, having won the Clark Handicap (gr. I) and Oaklawn Handicap (gr. II) at this distance. The biggest concern with Effinex is that he has a tendency to be inconsistent. Just two starts back, he finished sixth in the Stephen Foster Handicap (gr. I), and while he seems to do better with frequent racing and should be ready to roll in his third start since June 18th, it can be hard to predict when he might disappoint. Also, his only race at Saratoga to date yielded a fourth-place finish in the 2015 Woodward Stakes (gr. I) after he acted up at the starting gate, so that's another thing to keep in mind. For all these reasons, I'm going to take a chance with the up-and-coming 8-1 shot Comfort. The son of Indian Charlie is lightly raced, with only seven starts under his belt, but brings a three-race win streak into the Whitney and is 2-for-2 this year. In his 2016 debut, he tracked a fast pace in an 8.5-furlong allowance optional claiming race at Belmont before powering home to win by 2 ¾ lengths, and he came back on July 4th to win the 8.5-furlong State Dinner Stakes at Belmont in even more impressive fashion. In my opinon, Comfort had every excuse to lose that race-heavy favorite Touchofstarquality was the lone speed in a small field, and after getting away with a slow opening quarter in :23.49, Touchofstarquality accelerated through a half-mile in :46.41 and six furlongs in 1:09.89, which gave him a two-length lead under no urging from his rider. Those fractions, coupled with the slow first quarter, should have sucked any finishing kick out the closers, and that was the case for all except Comfort, who just kept coming in the homestretch to reel in Touchofstarquality and win going away by 3 ¼ lengths in the sharp time of 1:40.76. For these races, Comfort earned Beyer speed figures of 103 and 105, putting him right in the mix against Effinex and even Frosted if the heavy favorite regresses to his pre-Metropolitan form. Trainer Todd Pletcher has enjoyed success with lightly raced horses in the Whitney-he won the 2013 renewal with Cross Traffic, who had only four races on his record, and he sent out Liam's Map to be second in the 2015 Whitney off a record that is very similar to Comfort's. Call it a hunch, but I think Comfort is ready to take another step forward, and his running style-stalking the pace before finishing strongly-should be well-suited to Saratoga. He'll need to work out a good trip from post two, but at anywhere near his morning line odds of 8-1, I think he's a huge overlay with a big chance to win. I also wouldn't count out Noble Bird, an inconsistent runner with the ability to run huge on his best day. Although he was no match for Frosted when sixth in the Metropolitan after setting fast fractions, Noble Bird proved more than capable of capitalizing on a slow pace when he romped to victory in the Pimlico Special Handicap (gr. III) two starts back, winning by 11 ¼ lengths while earning a 110 Beyer. He ran similarly well with an easy lead in the Ben Ali Stakes (gr. III) earlier this year, finishing a good second to Eagle, and if Noble Bird can shake clear early on in the Whitney, he could prove tough to catch. Now it's your turn! Who do you like in the Whitney Stakes?